You will love the features that come in the 2017 Forest River Cherokee Arctic Wolf 265DBH8 fifth wheel! 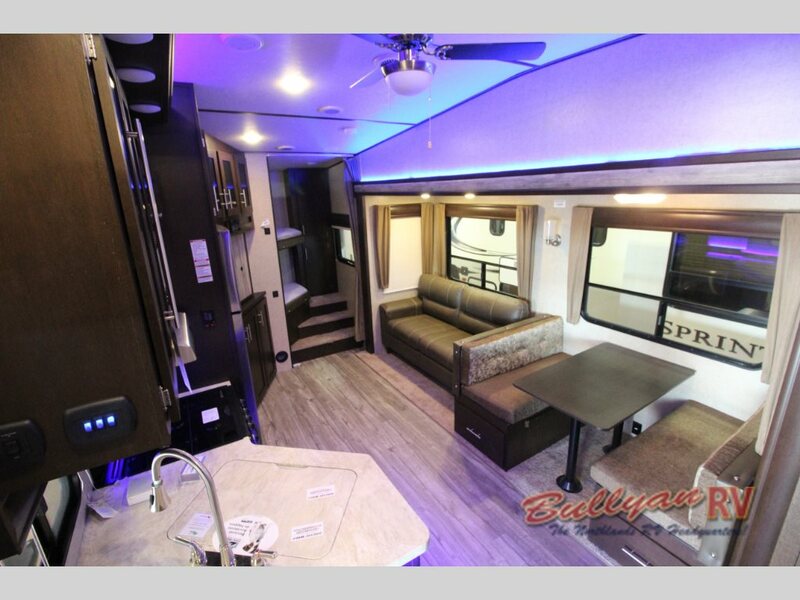 From the outside in, this dual slide camper comes with amenities that make it a quality RV you can be proud to own. Plus, with enough space to sleep seven people, you can bring along everyone in your family for all of your amazing RVing trips. Check out the 2017 Forest River Cherokee Arctic Wolf 265DBH8 fifth wheel. One area where this Cherokee Arctic Wolf excels is in cooking option. It comes with not one, but two, functional kitchens: one on the inside and one of the outside. Inside, you’ll have appliances like a 3-burner range and a residential sized refrigerator with a built in 1000w inverter to keep power even if you are not plugged in. Inside and outside kitchens make cooking a breeze. In the same area as the kitchen will be the living area. Here you will find one of the two slides to give this room a spacious design. The entertainment center located next to the fridge will have a spot for an optional LED TV and can be enjoyed from any of the seating areas like the tri-fold sleeper sofa in this room. The kitchen/living room slide helps add floor space to give you more room. At the rear of the Arctic Wolf 265DBH8, you will find incredibly convenient bunk beds. With easy to steps to the top bunk, a wardrobe, and a curtain for privacy, this is the perfect area for your kids to sleep and have a space of their own. 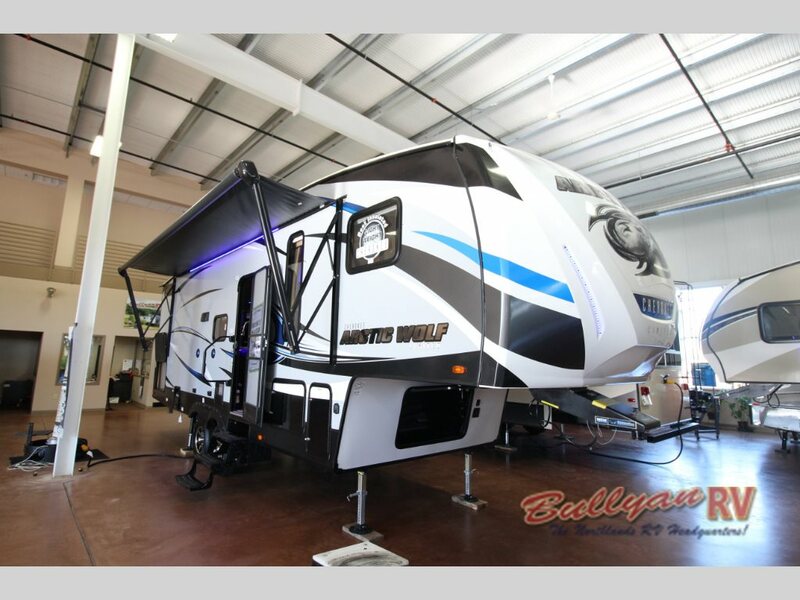 The master bedroom and bathroom will be located toward the front of this fifth wheel, and this will also be where the second slide is located. To get to the master, you will pass the bathroom complete with a corner shower and spacious design. Enjoy rest and relaxation in the perfect master retreat. The bathroom will have two separate entrances: one from the hallway and one into the master to give you quick access to the linen closet and wardrobe. The master will be just as impressive as the rest of the RV with is queen bed with master lift system for access to the under bed storage. To truly find out all about the amazing 2017 Forest River Cherokee Arctic Wolf 265DBH8 fifth wheel, you can contact us! 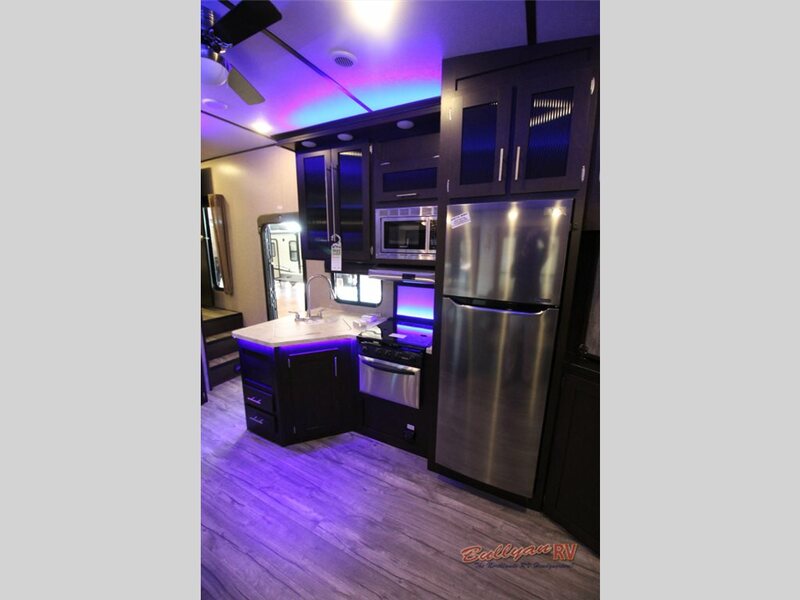 Or just stop by our location, and we will show you the inside of this camper as well as any other new or used RV that you are interested in seeing.